Established in 1994, the law office of Jeff A. Taylor, P.C., vigorously defends the rights of central Oklahoma employees in labor and employment law cases involving discrimination, harassment, overtime and wage claims and retaliation. Led by founding attorney Jeff A. Taylor, our comprehensive law firm serves as a reliable legal resource for our clients who have been treated unfairly, unethically and illegally, according to state and federal employment and labor laws. Whether you were discriminated against because of your age or gender at your job, or you were not paid for the work you completed or were wrongfully terminated from your position, we can help you. 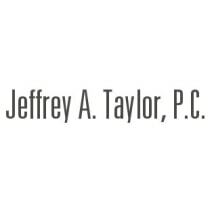 Our team at Jeff A. Taylor, P.C., recognizes that every case is different. We are committed to thoroughly learning about our clients’ circumstances through friendly and thorough consultations so that we can provide customized legal services to them. Our clients value the personal attention and respect we give them. Our lawyer, Jeff A. Taylor, is dedicated to diligently pursuing justice in your case by enforcing your rights under the Civil Rights Act, Fair Labor Standards Act, Americans with Disabilities Act, Family and Medical Leave Act, etc. With more than two decades of proven legal results, our attorney has the knowledge and skills to help you achieve the best results possible in your case. The law office of Jeff A. Taylor, P.C., is in Oklahoma City, Oklahoma. Our law office building is located on Classen Curve, near the Belle Isle/Penn Square Mall. For more information or directions to our firm, please call 405-286-1600. Our boutique law firm is exclusively dedicated to representing employees against employers in all areas of labor and employment law.